Marvel Television is proud to announce acclaimed artist studio Phantom City Creative as the final recruit for Marvel’s Agents of S.H.I.E.L.D. : The Art of Level 7, closing out this exclusive art series that united top artists from around the world, the artwork celebrates the final six episodes of the series’ inaugural season(airing Tuesdays, 8|7c on the ABC Television Network). Dark secrets are revealed as Coulson and his team put everything on the line to stop Garrett and the forces of Hydra during the explosive season finale of Marvel’s Agents of S.H.I.E.L.D. But when the dust settles, Coulson will find that no one’s leaving this battle unscathed. And just when all hope seems lost, they’re joined by the one man who may be able to turn the tide – Nick Fury. “Beginning of The End,” airs Tuesday, May 13 at 8/7c on the ABC network, concluding the powerful first season of Marvel’s Agents of S.H.I.E.L.D. Due to popular demand, the first three posters in this exclusive art series have sold out. Phantom City Creative’s “Beginning of The End” will be available at http://www.marvelstore.com/ArtOfLevel7 beginning Friday, May 9th at 1:00am PST. These individually numbered prints are strictly limited to 100 copies and once they’re sold out – they won’t be available again from Marvel. 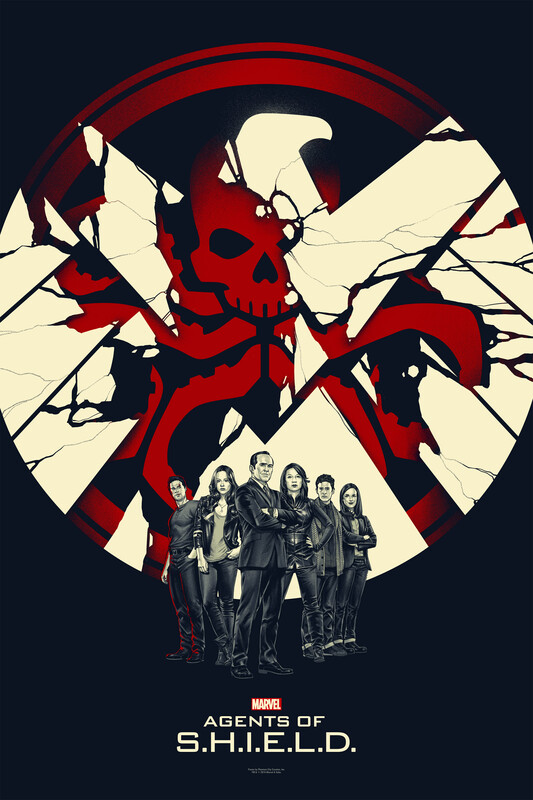 For more information on Marvel’s Agents of S.H.I.E.L.D., please visit marvel.com or http://www.abc.com. Join the conversation on Twitter and get all the latest updates with @AgentsOfSHIELD and @Marvel.